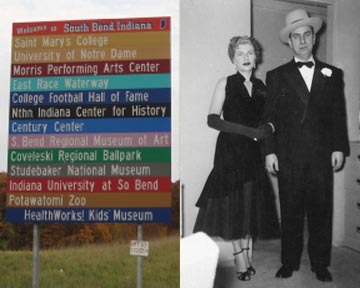 Everyone who knew Barry describes him as “being dirt poor from South Bend, Indiana.” Barry worked his way up the meat packing business and ultimately opened his own operation. Until 1953, when Barry was 31, he worked at his Dad’s grocery store in South Bend. At the family store, Barry made $100 a week and all the groceries the family could eat. When, Jeffery, the second child was born, Betty said, “We just need more money.” Barry became a frozen steak salesman for the mid-south region and the family moved to Nashville. Frozen meat was a new thing.